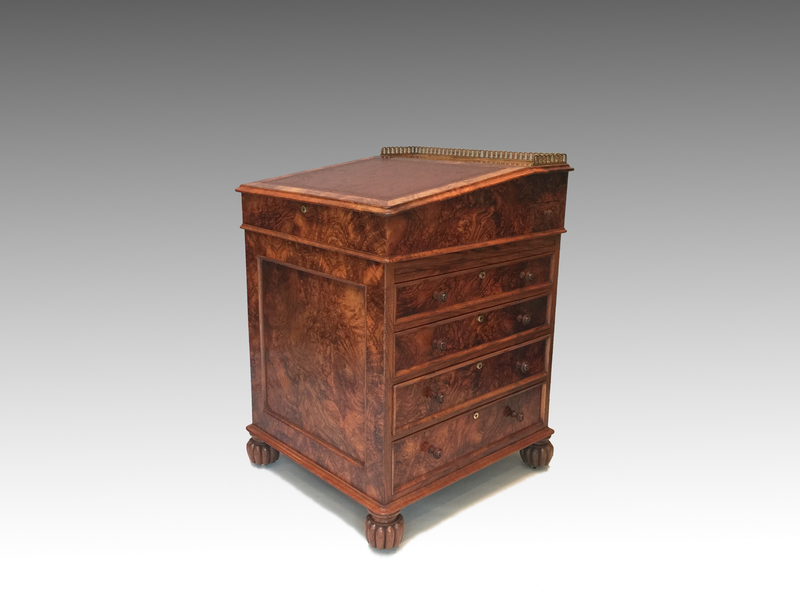 A late George IV Davenport in richly figured walnut. 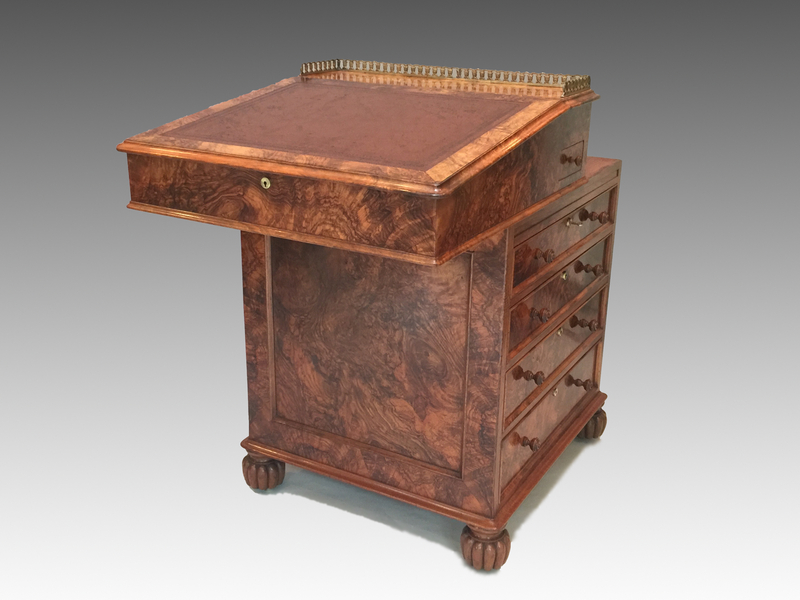 The galleried top with leather lined slope, opening to an interior with two real & two dummy drawers, to the right a pull out pen drawer in the side. 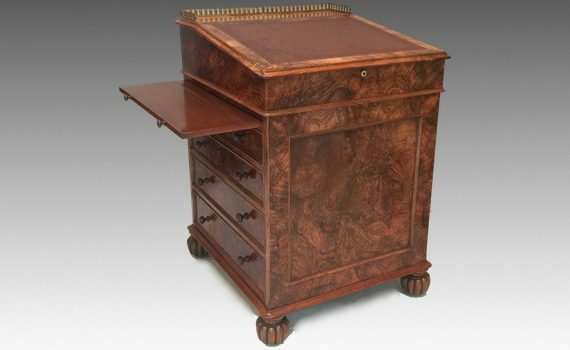 The top pulling forward above a box base with panelled front and back, the right side with four mahogany lined graduated drawers, dummy drawers to the left below a document slide, standing on turned and reeded melon feet with concealed castors. Stamped ’T Willson 68 Great Queens Street London’. 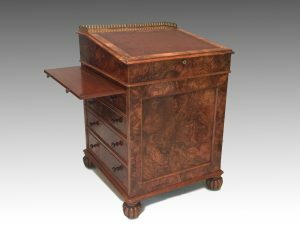 Thomas Willson is recorded as a furniture broker and appraiser at 68 Great Queen Street between 1821-29, and is probably the same Thomas Wilson recorded as an auctioneer at 28 Great Queen Street 1799-1825. 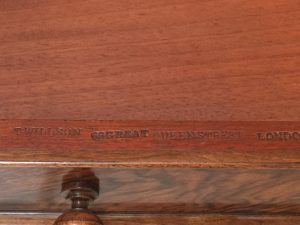 From 1830-1837 the business was continued by his widow Mary and his son Matthew using the stamp ‘M.Willson’ and after 1838 Matthew is listed alone at the Great Queen Street address. It was commonly believed that Thomas Willson was solely a dealer in second-hand furniture who used his stamp as a means of identification (it has, for example, been found on pieces of late 18th century date or stamped by other firm’s such as that of Gillows). 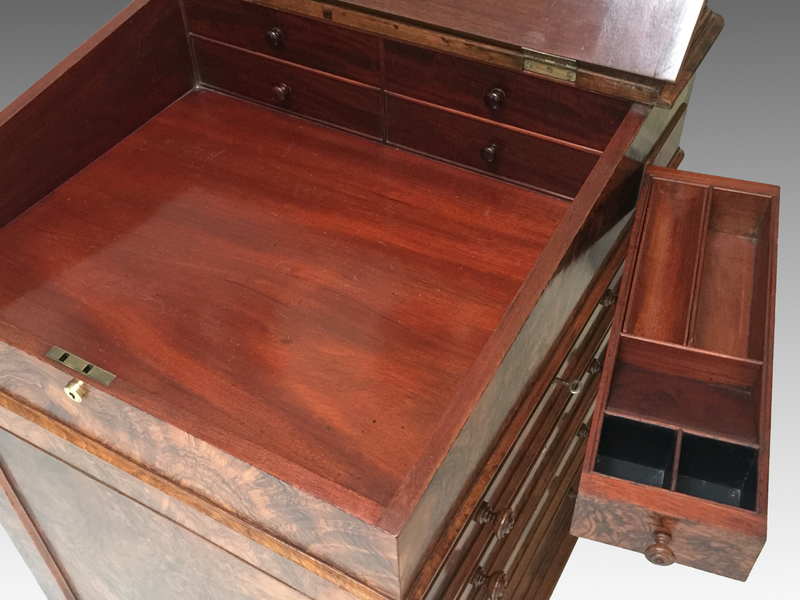 The rare and seldom seen paper label used by the firm states that he was a cabinet-maker as well as a broker.